There are guns everywhere in America. Real ones, and pictures of them, hidden and overtly displayed. This constant threat of violence gives the unnamed uni lecturer and mum in this monologue nightmares and anxiety attacks. She awaits the day when a male student takes issue with his grades, or the course content, or anything else that threatens his masculinity and barges into her office or classroom and guns her down. The #MeToo movement has proved that male-on-female abuse and assault is far reaching, both in and out of the arts. This year there about 30 shows at the fringe that respond to the movement, and often tell first-hand stories of assault and abuse. Shakespeare’s work is very much of his time and place, with his universality much more embedded in Western culture. Seeing a Korean company stake a claim on Macbeth and intersperse the story with its own cultural myths and legends is a potent reminder of the relevance of his stories and themes, and provides a unique filter for Western audiences to take in his work. There are plenty of issues with this physical theatre piece, but its use of the text as a starting point for a different story is a hugely refreshing take. Held holy by many musical theatre enthusiasts, Spring Awakening is about the turmoil and angst of growing up. The pain of self-discovery and the frustrations at growing up rapidly, and still being treated as a child by the adults around you, are one of its primary themes. 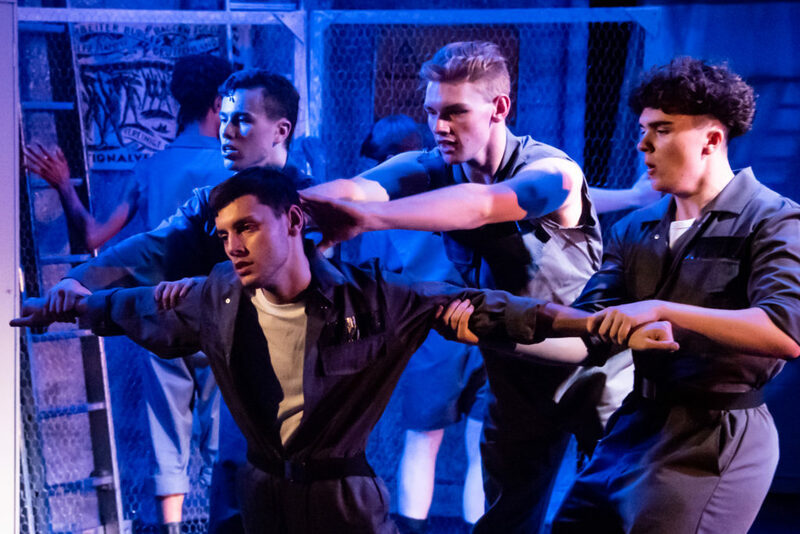 And while The British Theatre Academy did their best to relay this to their audience, unfortunately they only remained at a surface level – it never really goes to the dark and vulnerable places that this show so desperately requires to make an impact.